Good news! 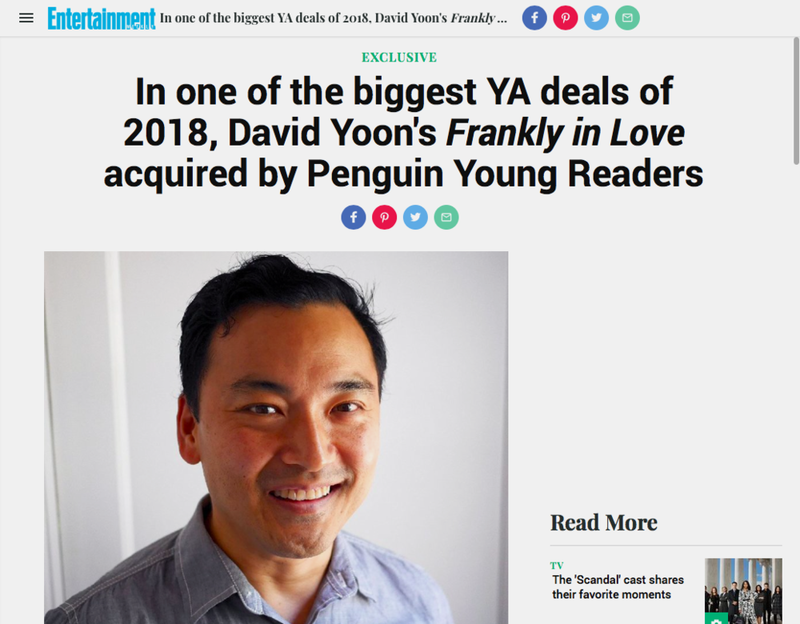 I got a book deal with Penguin Putnam. My editor is the incomparable Jen Klonsky. She's crazy wonderful. My debut novel is called Frankly In Love. It comes out in Fall 2019. Entertainment Weekly has more details.